'The Coach House' was the original stables and coach house of the former 'Rectory of Ffestiniog' which is set in the Vale of Ffestiniog in the heart of Snowdonia National Park. By 1887 the Rectory needed extensive repairs and Rev. 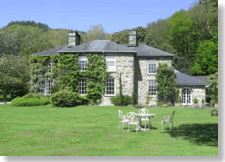 Cadwgan Price was able to exchange it with the Oakeley family of Plas Tan y Bwlch and owners of Slate Mines in Blaenau Ffestiniog, for their Dower House (Glan William) in Maentwrog - now known as the Old Rectory. The Rectory remained the property of the Oakeley family, let to tenants until 1961. Upon the death of Mary Oakeley Inge in 1961 the estate was left to her cousin the Hon. John Russell, 27th Baron de Clifford. 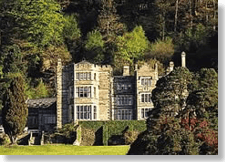 In 1962 due to extensive death duties Baron de Cifford put the whole Oakeley & Tan y Bwlch estates, including the former Rectory up for sale. The former Rectory, its grounds and Coach House have remained in private ownership since that time.